The Fly High Pro X Series rear seat sacs are the creme de la creme when it comes to wake enhancement. 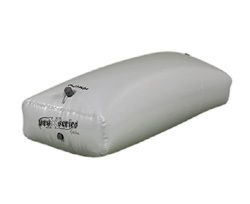 The Pro X Series ballast bags are constructed from a Valmex material which is similar to the material used to make river rafts. Dimensions: 60" x 26" x 10"